The oft-overlooked and under-appreciated Iron Range in the northern corner of Minnesota is home to a wide array of geologic wonders, scenic lookouts, and roadside attractions. Chisholm, MN, in the heart of the range, boasts one of Minnesota’s biggest and best- the Iron Man. (Cue the Black Sabbath). 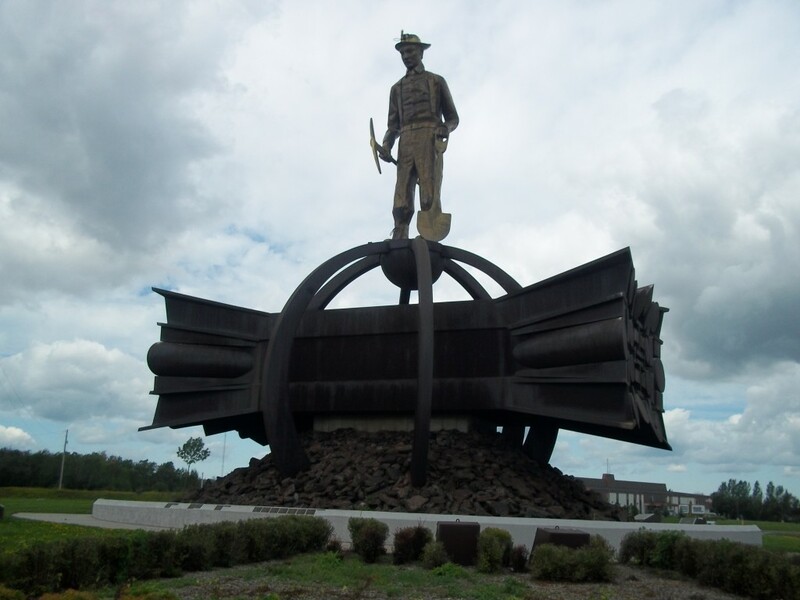 Known for its rich history of iron ore mining, the Iron Range has several monuments depicting the trade, but none compare to the giant Iron Man. A 35-ft tall miner stands atop a spherical structure over steel beams piled on taconite rocks. The whole structure clocks in at 85-ft tall, which, if the claims are true, puts it as the third-largest free-standing memorial in the US behind New York’s Statue of Liberty and the Arch in St. Louis, MO. 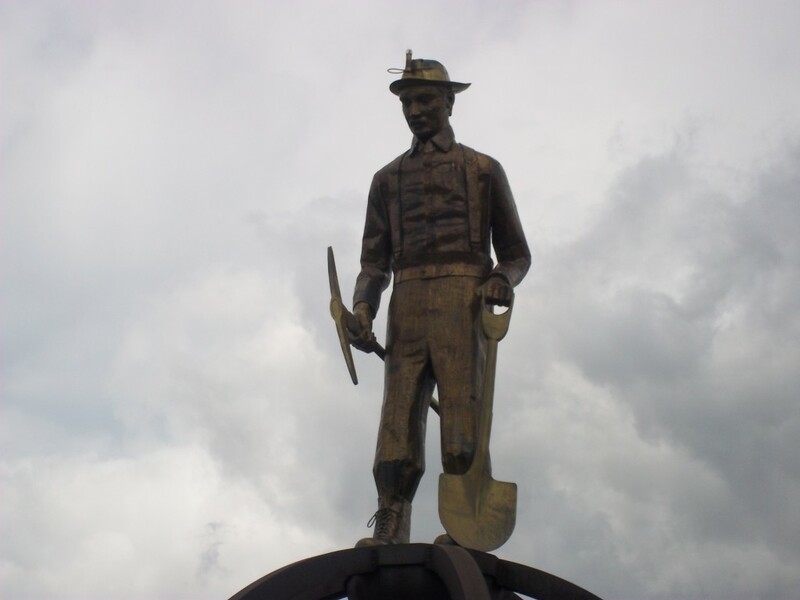 Designed by artist Jack Anderson and dedicated in 1987, the Iron Man stands in a roadside park off HWY 169 just across the street from Minnesota Discovery Center and the Pillsbury Pit Mine. 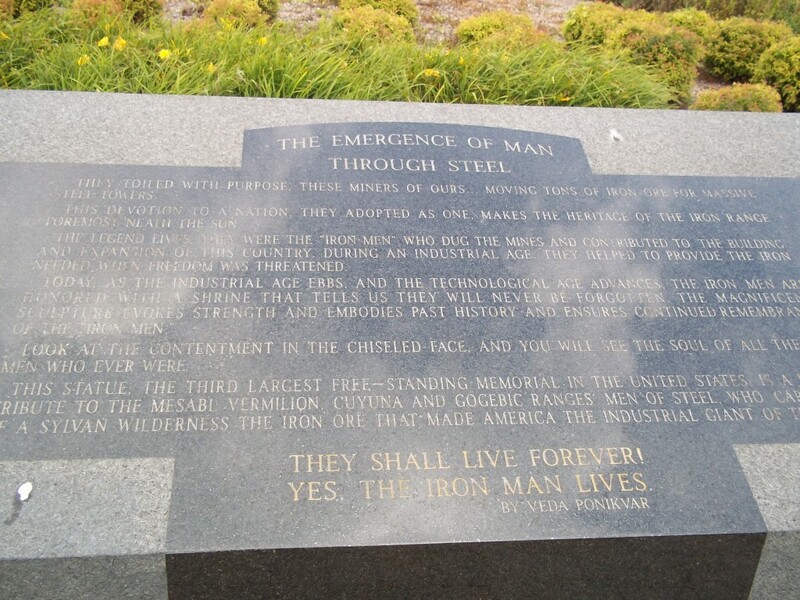 The plaque at its base describes the hardships and endurance of the miners that made America “The Industrial Giant of the World.” It’s tough to tell how huge this thing truly is from the pictures. After gazing at this metallic marvel, head across the street to the Minnesota Discovery Center to learn more about the mining operations, play some mini golf, and ride a trolley around the edge of an open pit mine. The view is breathtaking. While in the area: The pit mines are always fun to view. Plenty of state parks, hiking, and a nice ski resort nearby too. 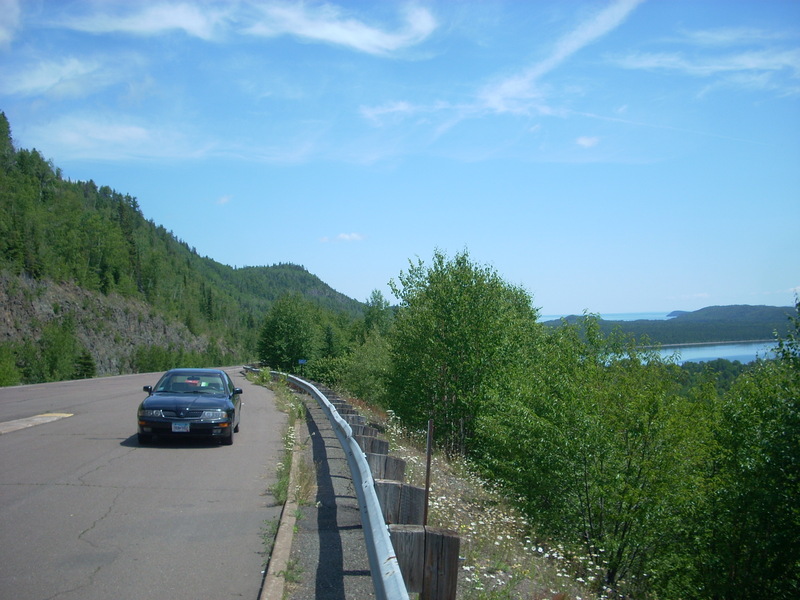 This entry was posted in Highway Highlights and tagged Chisholm, Iron Range, IronMan, MN, Roads by Seth5544. Bookmark the permalink.